Students will create a historical journal from a fictional character's point of view. While we do need to know and remember facts about the past, we more importantly need to think deeply about how events, circumstances, culture, and leaders in the past affect the lives of human beings. To help students make this connection, skip the traditional research report about a person or event. Instead, ask students to explore primary and secondary sources and create a series of fictional journal entries that share information about the past and indicate how it affected the lives of a specific person living during that time. Students often view history as a collection of disconnected facts with little, or no, relevance to their current lives. But the study of history provides opportunities to explore issues of leadership, equality, interdependence, movement, which are not only relevant, but important ideas for students to think deeply about in order to grow into concerned and active citizens. Using journal writing as a learning method in the classroom promotes empathy and aids learners in terms of personal growth, synthesis, reflection on the new information that is acquired, and promotes critical self-reflection when dilemmas, contradictions, and evolving worldviews are questioned or challenged. Explore a time period or events using primary sources, field trips, discussions, and other activities in your text book or collection of instructional resources. Let students know that they will share their learning about the time period or events you are studying through fictional journal entries. Take time to explore examples of diaries and journals together. Many students will have already read The Diary of Anne Frank, others may have read or seen the movie, Diary of a Wimpy Kid. Use these experiences to discuss content and writing strategies that make journals interesting to read. As they work to complete their historical research, ask students to think about the different perspectives of people affected. Have them choose a specific person, or create a fictional character they will use, to share a first-person perspective of that time. The character’s actions in response to the outcome an event. The character’s emotional state during this time of oppression. Effects of the character’s behavior on other individuals (family, friends, community members, etc.) during this time. The character’s fears of what might happen if things do not go according to plan. An interesting hook, and descriptive details, that connect the reader to the character writing the journal. 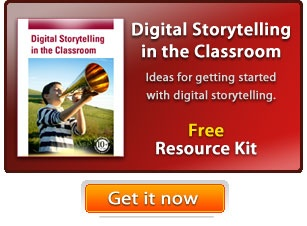 Students can take these resources and combine them into a rough draft of the journal entries. Have students share their drafts with a peer for feedback and suggestions. Students should then make appropriate edits and changes in their journal entries. Have students use a publishing tool like Wixie to combine their text with images, music, and narration that will support their journal entries. They may be able to find appropriate images from the collections at the Library of Congress and Pics4Learning. Have students present their journals to the rest of the class. Invite other teachers or local historians to help evaluate their final products. Share student writing with other students and community members to help raise awareness about a movement or issue. You can share them in the library by printing the journals or creating an interactive page on your classroom web site that connects to each students work. You may also be able to share student work with a local museum, so patrons can use their personal devices to gain additional perspectives on the materials shared in an exhibition. To support student progress, conduct formative assessments during the research, writing, and publishing process. Review student research notes, character choice and character analysis to help them clarify thinking and comprehension of the informational texts they are encountering. Listen in on, or collect, peer reviews of their rough drafts. The final journal entries serve as a fantastic performance task showing research and a student’s skill combining informative and narrative writing. Create a rubric or checklist to help guide student work during research, writing, and publishing. Explain how information and experiences may be interpreted by people from diverse cultural, perspectives and frames of reference. Analyze and explain the ways groups, societies, and cultures address human needs and concerns.